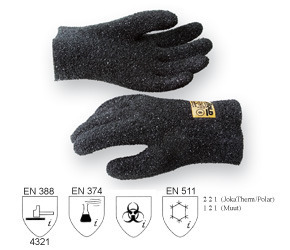 Jokasafe Glove's Mechanical , Chemical and Cold protection classes. 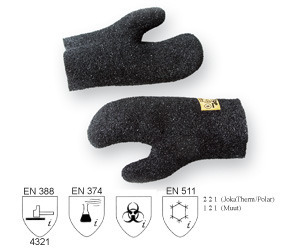 JokaTop is a roomy mitten with a firm granulated surface and comfortable and warm cotton lining. 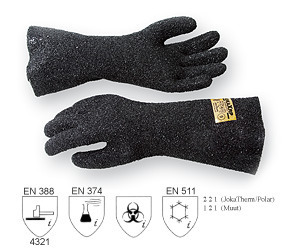 JokaXRP granulated glove. 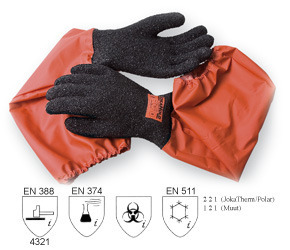 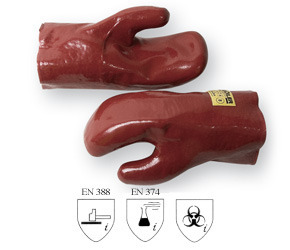 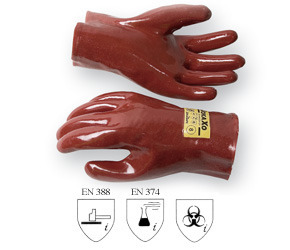 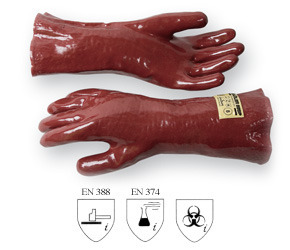 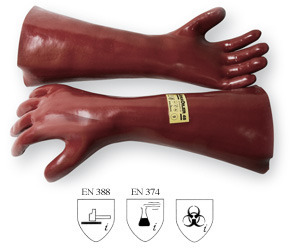 35 cm long glove provides splash protection. 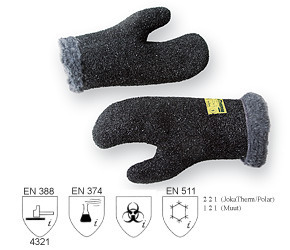 JokaOiler 35SP smooth 35 cm long glove.